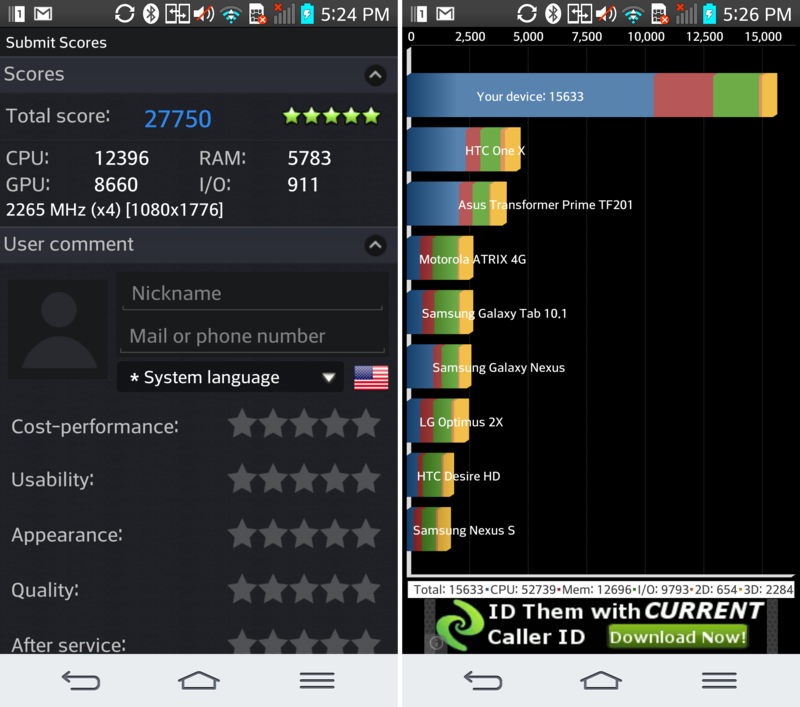 While we don’t tend to care about benchmarks as much as we used to, we figured we would at least do a couple to give you a rough idea of what to expect performance wise from the LG G2. As you can see from the two I took above, the results are pretty much off the charts, given that the device is running the new Snapdragon 800 processor clocked at 2.3GHz, has 2GB of RAM and also features that GRAM technology that LG bragged about. The benchmarks I ran were AnTuTu and Quadrant, two of the most commonly used tests to pit phones against each other. With a five star rating from AnTuTu and the largest Quadrant score I have probably ever seen, it’s a safe bet that the G2 can perform under pressure. Any other tests you’d like us to perform before we head out?